'Go Wild' and join us for two days of fun, games and survival skills at our campsite in the woods. Specially created for small groups of children and their parents, this fun packed, exciting adventure aims to teach children about our wonderful natural spaces. 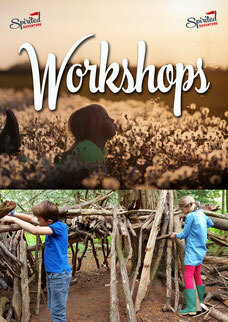 The two day adventure is cleverly designed to be a balance between adult assisted learning and child-initiated play. After a packed day of activities sit around the roaring fire and toast marshmallows, or lie out under the stars to experience wild camping at it's best. 'Go Wild' and join us for a day of fun, games and survival skills at our campsite in the woods. Specially created for small groups of children and their parents, this fun packed, exciting adventure aims to teach children about our wonderful natural spaces. The day adventure is cleverly designed to be a balance between adult assisted learning and child-initiated play. As we only run this course with a small group you get plenty of 1-to-1 training. This fun target Air Rifle Marksmanship course is your chance to fire off your training and who knows, you may be at the next Olympics! If you've ever wondered what it must be like to shoot a rifle like an Olympic marksman but never had a chance to try it, now you can. We provide everything you'll need for a successful day of shooting including rifles, pellets and plenty of friendly coaching. With this adventure you'll complete the 1 day course and undergo extra training on day two. Master new techniques like shooting in the prone and standing positions. 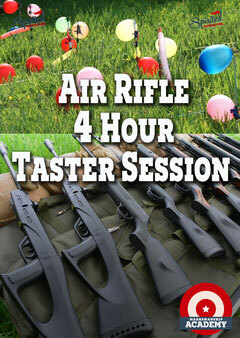 You'll get plenty of time to practice your new shooting skills on the range for your solo practice session. We finish the weekend with a friendly competition or two, to test your ability against the other shooters. 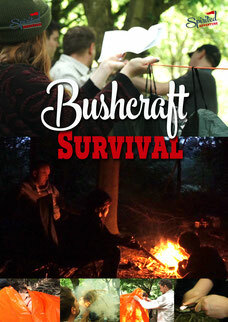 You can spend the night under the stars with your tent or try one of our Bushcraft tarp set ups. 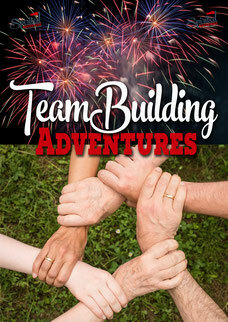 This adventure is a great way to kickstart a new sport or brush up on the skills you have. 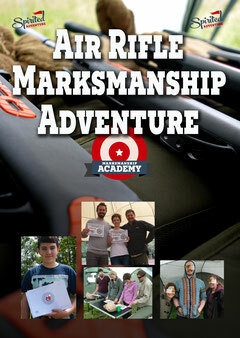 Brings together everything from the 1 day Beginners Air Rifle course and some core Bushcraft practical know-how. The weekend is split 50-50 so to start with you'll learn how to build your own Tarp Shelter for the night, build & light your own fire without using matches, make a char-cloth and cook your food (all materials provided). Then it's off to the range for the Air Rifle instruction. Day Two brings a morning of Bushcraft skills followed by the completion of the Marksmanship training. We have a range of activities from 4 hours to 2 days ranging from Air Rifle Marksmanship to a simulated plane crash survival scenario. Be brave and reward your team today. We can travel to you and deliver a number of workshops at your site indoor and outdoor. Also available at Spirited Adventure's outdoor site in Hampshire. An adventure based on the skills and tools used by the cowboys, gold prospectors and explorers of the American Wild West.